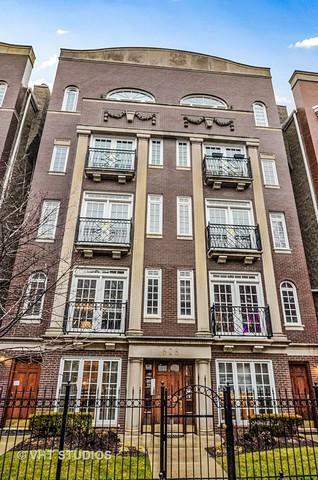 Dramatic 5th floor PENTHOUSE IN BOUTIQUE ELEVATOR BUILDING in east Lincoln Park! 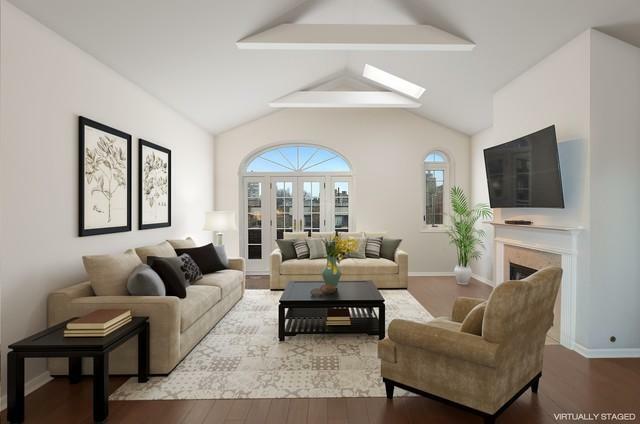 Dramatic cathedral ceilings with 4 skylights. Beautiful oak floors throughout enhance oversized rooms with a living area perfect for a grand piano! Cook's kitchen w/new KitchenAid, LG, Bosch stainless appliances, quartz backsplash, enormous granite island for entertaining. Woodburning fireplace. Storage everywhere, custom built-ins. Beautifully updated baths. New sliding doors to private deck. 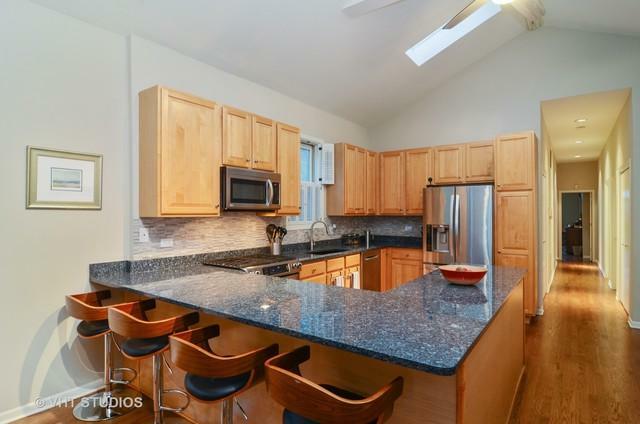 Popular, well run Wrightwood Commons with common roof deck, dog run. TWO PRIME PARKING SPACES, 1 indoor garage, 1 in gated outdoor area included. All this in top rated Alcott School District! Best shopping, transportation, dining out your front door. 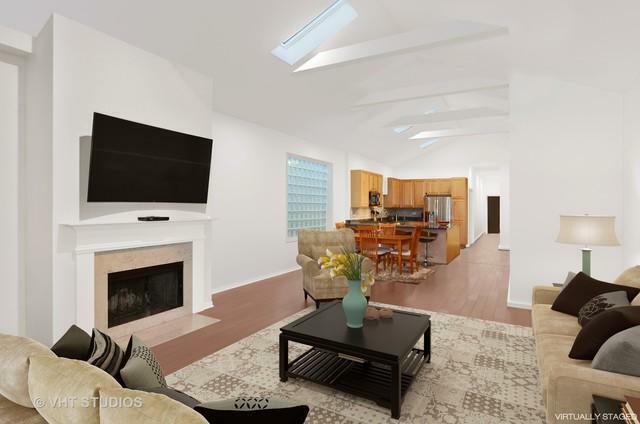 This one has it all on a desirable, tree-lined street in heart of Lincoln Park!